Jackson arrives as the new Chief of Surgery and butts heads with Shaun when they get off to a bad start. Jackson goes on to say that Shaun should not be speaking to patients or parents of them. He says that Shaun made a mistake. Lim tries to help Shaun, as does some of the other residents. 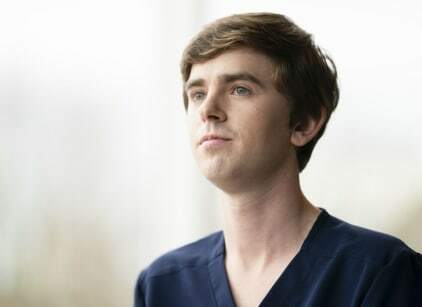 Even though Shaun was the one who made the big break in a case, Shaun was told by the end of the hour he was getting demoted and sent to pathology to work. Shaun tried to fight it, but Jackson said it was already a done deal and he was to prepare. Neil helped a man who was in for preventative surgery. He found a tumor and the man had a chance of living or dying. Neil performed the surgery and had to go through the man's back to help get rid of it. In doing so, he removed a nerve for the foot. The man would walk with a limp for the rest of his life. Elsewhere, Glassman made friends at chemotherapy after initially being against speaking to anyone in the hospital. I'm Jackson Haan. Your new Chief of Surgery. Permalink: I'm Jackson Haan. Your new Chief of Surgery. Shaun: I've been working with the new Chief of Surgery.